Come tour some of Charlestown’s wonderful historic houses on Saturday, September 22 from 11 am to 4 pm at the 2018 CPS Historic House Tour, followed by a Lemonade Reception from 4 to 5pm. 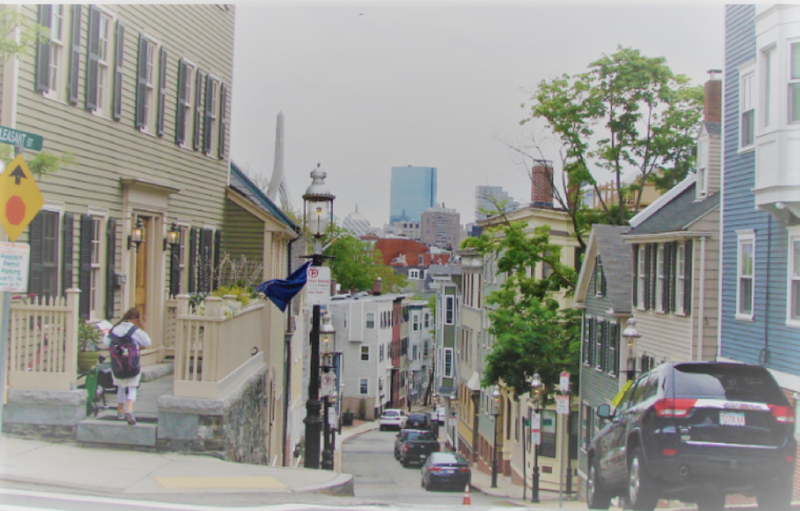 The 2018 Charlestown Historic House Tour is a rare chance to explore private houses and public spaces in Boston’s oldest neighborhood. From a meticulously restored 1804 Federal style house on Warren Street with exceptional attention to period and detail- -to a Greek-Revival rowhouse unattended for fifty years reimagined as a modern interior using unusual fabrications such as galvanized steel railing and stairs. Included are beautifully restored houses primarily around the Gaslight District of Charlestown plus one of the town’s best-loved historic buildings. For the first time the tour will include the interior of the Charlestown 5 Cent Savings Bank and a view the bank’s original iron vaults deep in the recesses of the first floor at 1 Thompson Square. The tour starts at Memorial Hall, 14 Green Street opposite the Boys and Girls Club, where you can buy tickets and pick up your tour booklet, and where the reception will be held. Tour goers can travel the tour on foot or by a complementary Shuttle van. There will be shuttle stops along the entire house tour route. Get a discount on your tour ticket when you join CPS or renew your membership. Tickets can be bought online at www.charlestownpreservation.orgstarting August 1st. They can be purchased after August 15th at the offices of our Official Sponsor Coldwell Banker Residential Brokerage at 2 Thompson Square or at Junebug (formerly Bunker Hill Florist), or Place and Gather on the Training field. They can also be bought at Memorial Hall on tour day. Take a chance on our 50/50 Raffle to support preservation in Charlestown. You can buy raffle tickets for $5 at Memorial Hall on tour day. The winner will be announced during the reception, and you don’t need to be present to win. You would receive a complimentary house tour ticket and plenty of time to take the tour yourself. To SAVE YOUR PLACE let us know if you can help. You can request either a morning or afternoon time to house sit for 2 1/2 hours. Friends and couples often house-sit together and go on the tour before or after their shift. Please feel free to email us if you have any questions. And thank you for considering this request!